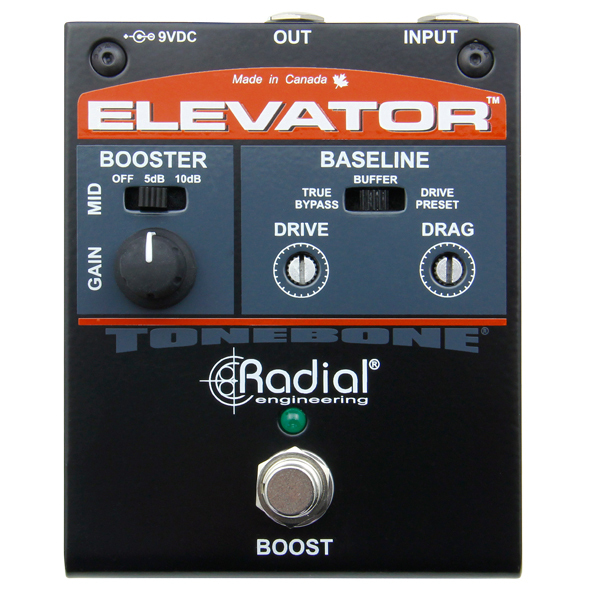 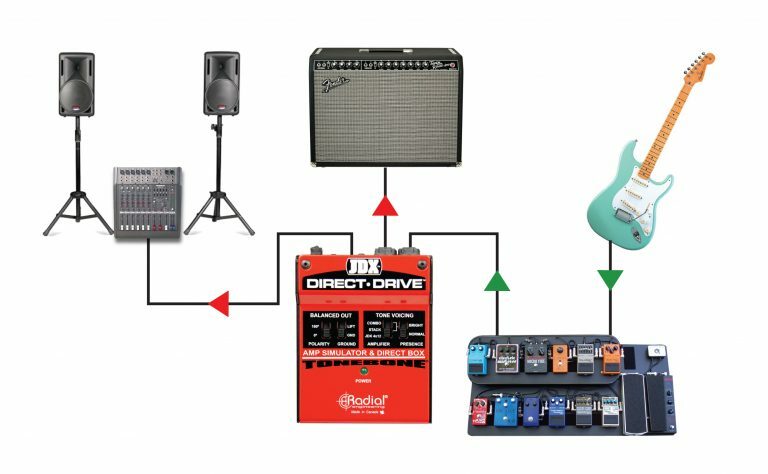 Connect your pedals to the Direct-Drive and enjoy the natural tone of a guitar amp using the PA system or monitors instead of an amp. 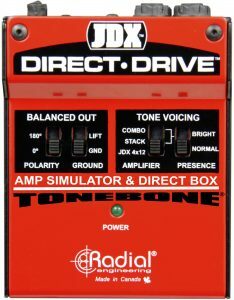 Select between three voice settings to find the one that works best. 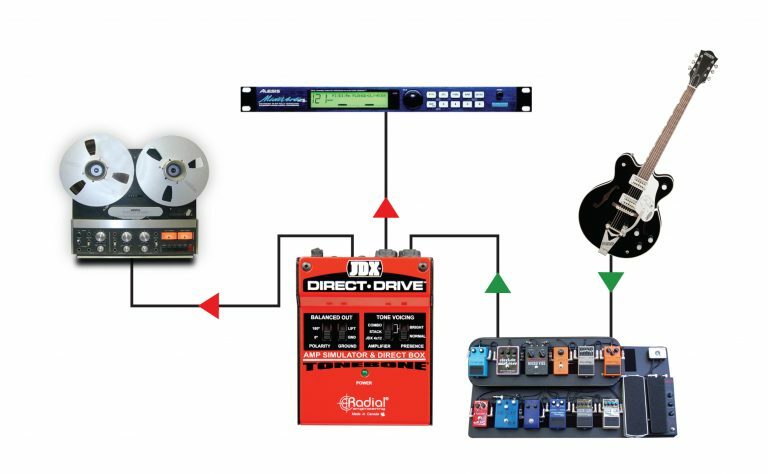 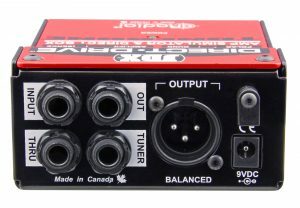 Use the Direct-Drive at the output of your pedalboard to feed your amp and the PA at the same time. 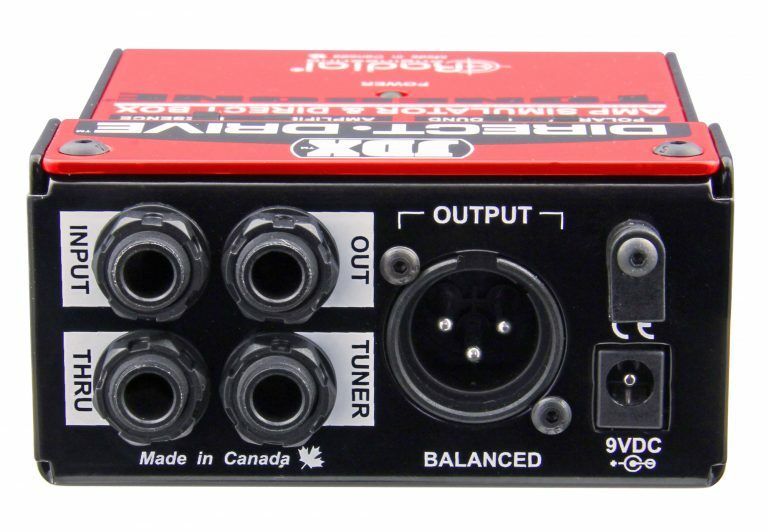 This allows the engineer to mix the two signals to get the best tone out of the PA system. 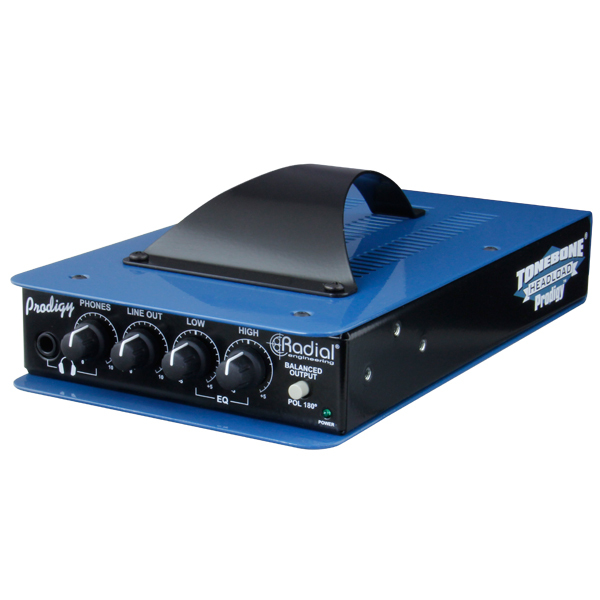 With the Direct-Drive as your amp, quietly record your guitar directly from your pedalboard. 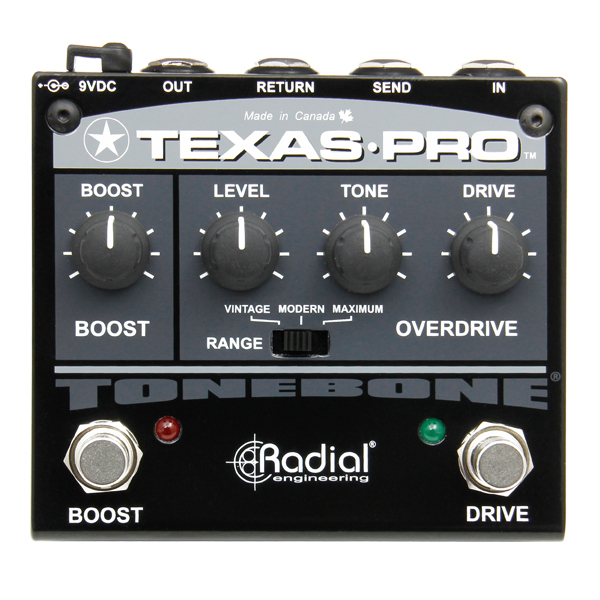 Use the ¼" output to feed an effects processor and mix to create amazing tonal textures. 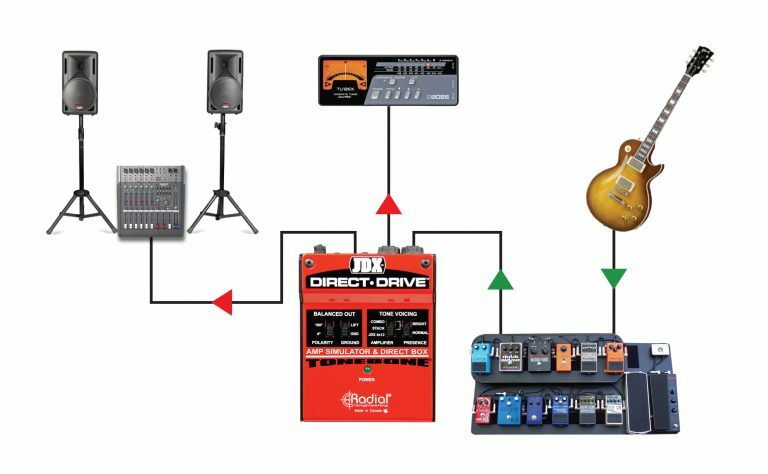 Record silently while still getting the tone you’re familiar with from your pedals. 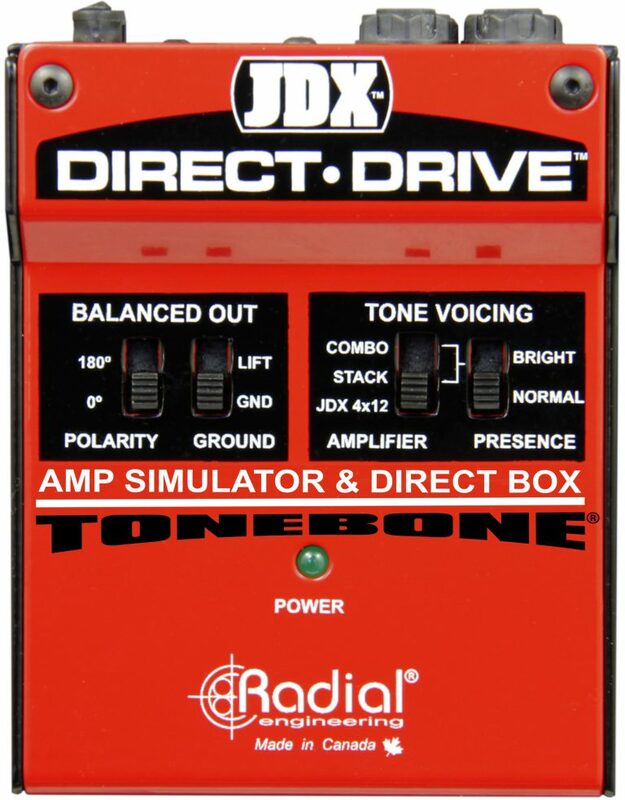 Below are examples of the audio captured from a pedalboard with and without the JDX Direct-Drive. "The JDX Direct-Drive does a great job... I love its all-analog simplicity and it's been easy to travel to rehearsals with nothing but my guitar and pedalboard, with the JDX Direct-Drive comfortably mounted next to the rest of my pedals." "The Direct-Drive is a fantastic tool for fly dates, studio sessions, and impromptu gigs where you can't grab your rig. It's also a Saviour Machine, because if my amp ever goes down for whatever reason, I'm going to be thankful the Direct-Drive can be plugged right in to save the show." 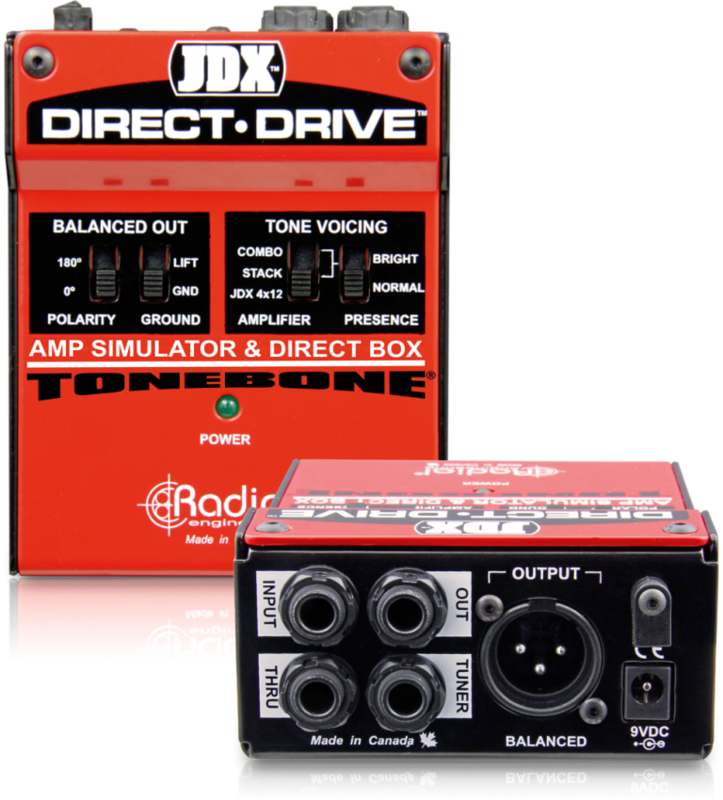 "Overall, the JDX Direct-Drive compares well with other all-analogue speaker emulators on sound, and it also functions as a very high-quality DI box and signal splitter, all built to the high standard we’ve come to expect from Radial." 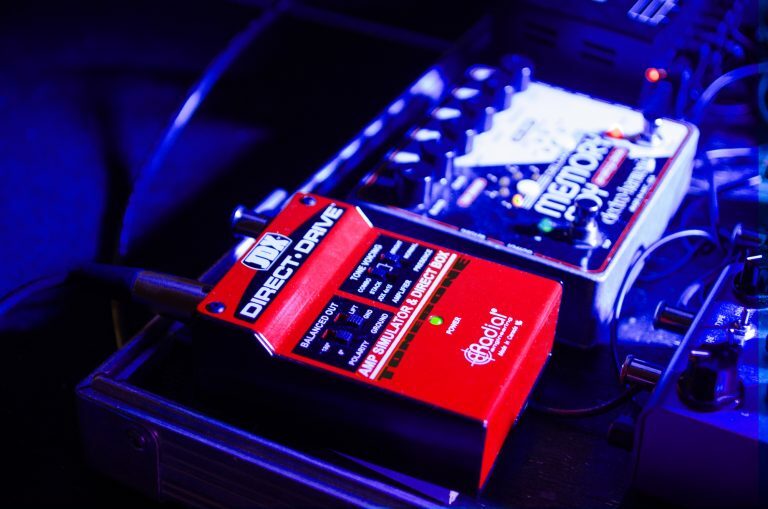 "It's a highly rugged DI for recording and a worthy backup for when those tubes hit the skids in the middle of your gig... 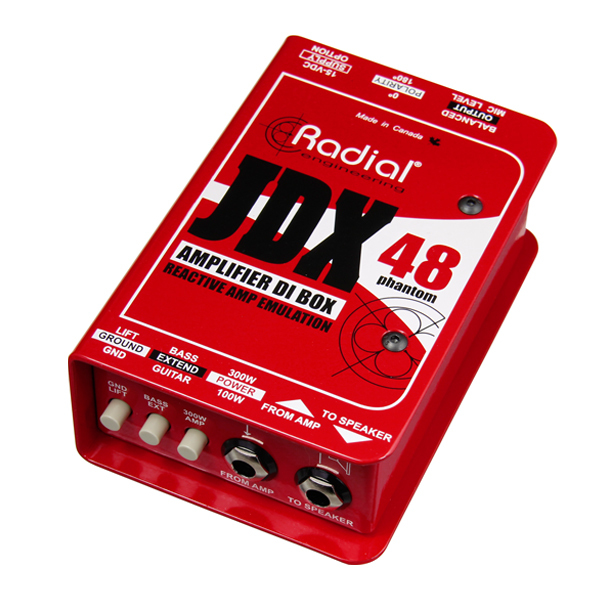 Radial is known for making heavy-duty boxes that tend to simply make your life easier. 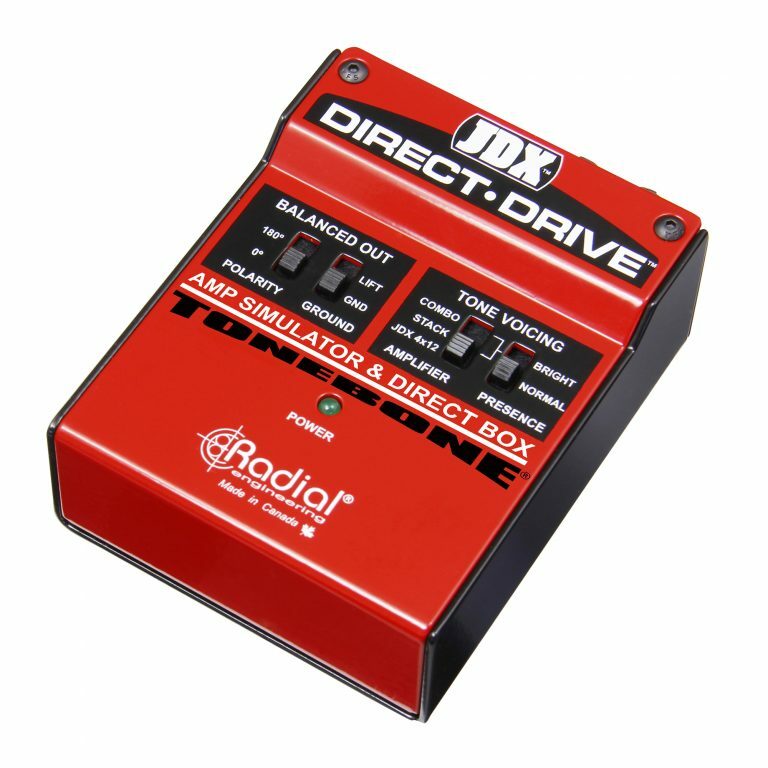 The Direct-Drive is a worthy heir to that tradition."